thankyou.jpg. 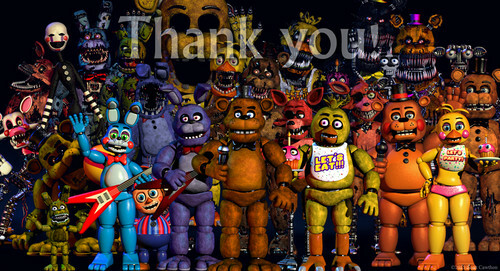 Well this is the most current thing on Scottgames... I'm not sure how to feel. All I want to say really is "No, thank আপনি Scott". HD Wallpaper and background images in the ফাইভ নাইটস্‌ অ্যাট ফ্রেডিস্‌ club tagged: photo go on visit the website.